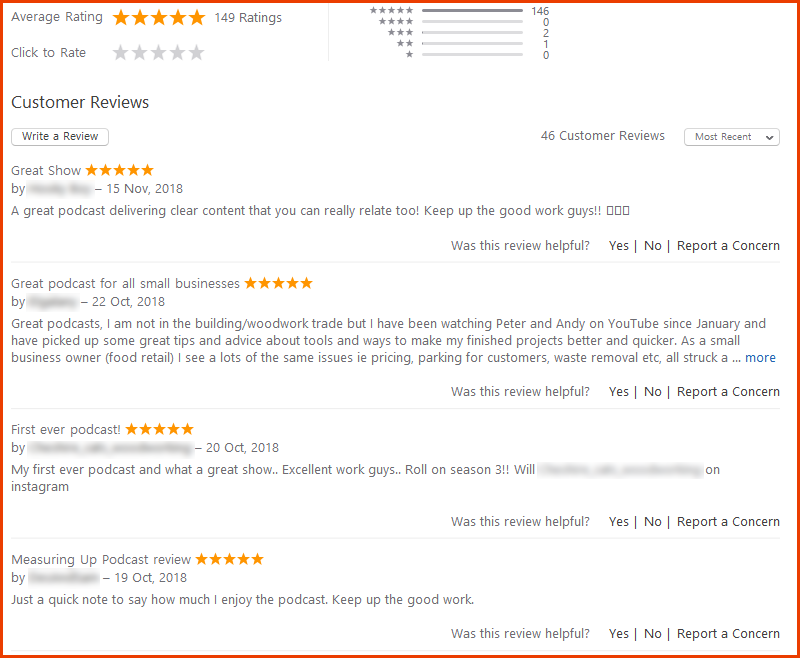 The Measuring Up Podcast is the UK’s first and as far as we’re aware only commercial joinery podcast. The show is hosted by Andy MacLellan (Gosforth Handyman on YouTube) and Peter Millard (10 Minute Workshop on YouTube) discussing the world of commercial joinery from a UK perspective but to an international audience. Andy and Peter both run carpentry & cabinet making businesses in the UK and chat about everything from winning customers through to tool talk and the daily challenges of self employment. It’s very much a “2 blokes talking” style of podcast. 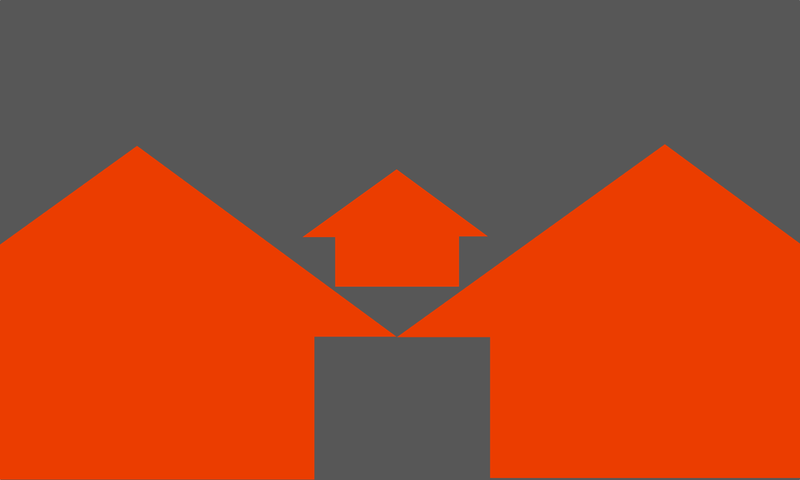 The show is completely independent and privately funded via Patreon and sponsorship. Between their two YouTube channels, Andy & Peter have clocked up nearly 10 million video views, 50,000+ subscribers and over 37 million minutes of video watched… so far. At the moment new episodes are released every 2 weeks – first thing on a Monday ready for your morning commute! We run the show in seasons with 10 episodes per season. As a backup you can also listen the show via YouTube. At the time of writing we’ve had almost 150 5-star reviews on iTunes. Thank you to everyone who has left us a review – it has really taken our breath away. You’re all utterly awesome! In terms of show geography, it’s very much UK-based content but to an international audience. 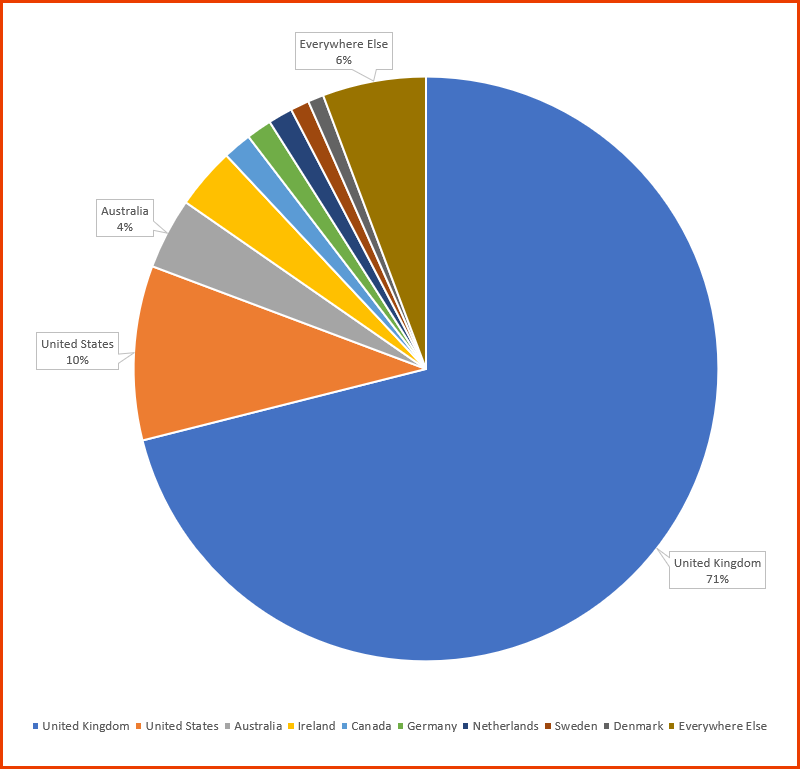 71% of listeners are from the UK, 10% from the States, 4% from Australia and the remainder spread throughout the EU and rest of the planet. 80% of listeners use mobile applications to listen to the show. 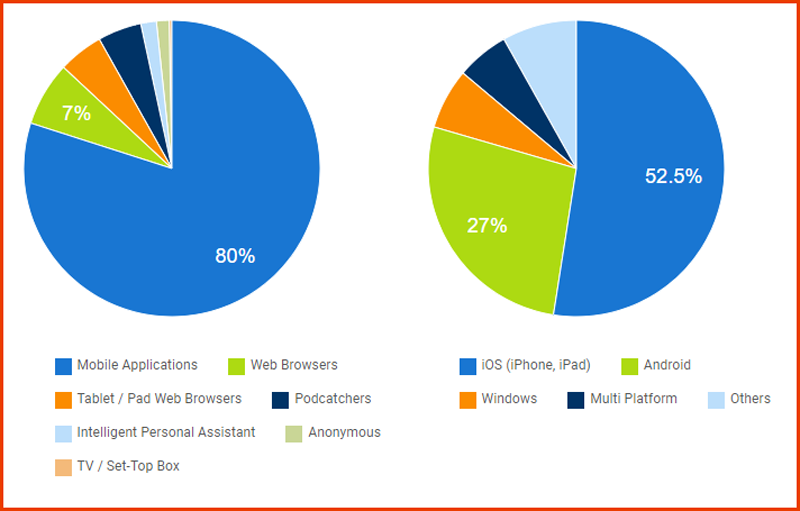 Over 50% are using some form of Apple device. All stats and figures correct as of November 2018.